OK, so we may have our first look at Google’s Pixel 3 XL. Assuming the pictures in this post are really of a Pixel 3 XL prototype, well, get ready for a Pixel 2 XL with a notch. 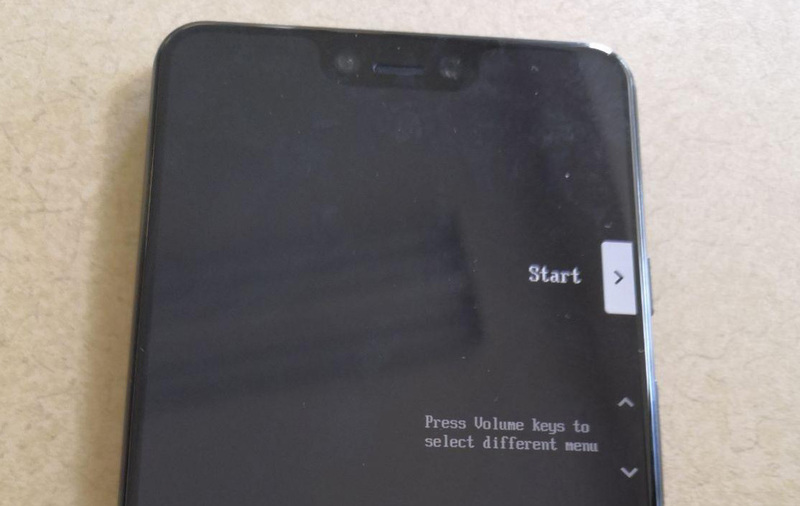 According to a post that showed up at XDA last night (first spotted by Android Police), what you are seeing is an early build of the Pixel 3 XL. Is it real? We have no way to confirm, but what we’re seeing lines up with a handful of previous leaks. For one, on the boot menu in the image below, you can see that the product is being referred to as “crosshatch.” That sound familiar? Of course it does. It’s one of the codenames for the Pixel 3 family that we revealed way back in October and have seen at AOSP now a handful of times. The device sports a notch with dual front camera setup that matches up to a leaked pair of screen protectors too. And then of course, the backside looks a lot like the current Pixel 2 XL, only with an extra sensor of some sort between the camera and the flash. But we’ve still got a fingerprint reader, glass top panel, and bottom logo in similar spots. It’s very Pixel-esque. 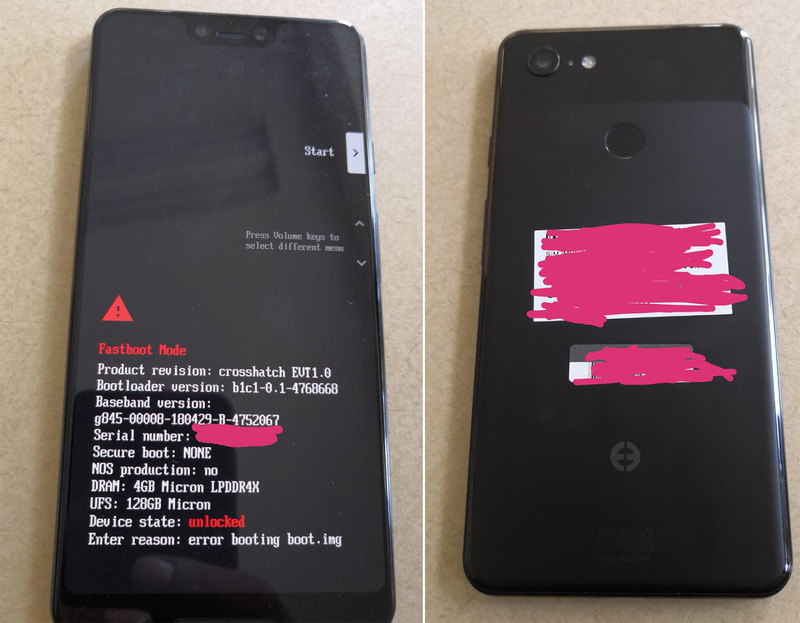 UPDATE: Wait, does this Pixel 3 XL have a full glass backside? UPDATE 2: More pictures here! Now, that rear logo is not Google’s “G,” we get that. Assuming this is a prototype, this weird logo could have been used to help conceal the phone’s identity. From these screenshots, we can also see that this Pixel 3 XL runs a Snapdragon 845 (baseband showing “g845”), has 4GB RAM, and 128GB storage. This is version 1.0 of the phone it seems, so look, plenty of this stuff could change. What do you guys think? Could this evolve into a great phone or is this the beginning of a disaster? Essential Phone Picks Up Android P Beta 1...Please Make a New Phone, Essential.